Not a day in the classroom goes by without me thinking of my 6th grade reading and social studies teacher, Miss R.
I had a lot of growing up to do in 6th grade, but that didn't bother her. Miss R saw the potential that I had, that my classmates had, and pushed us to do better than our best. It didn't matter that we were 11 and 12- she treated us like adults and truly respected us. From her, I learned how to hold my head high even when I was feeling small. Each time we struggled through a task she was there to guide us. She never gave you the answer, but always gave you a path to the answer. In Miss R's class, we held mock trials, we created a mock society, and we worked on things that mattered to us. She even made tedious sentence diagrams into an exciting story. She sent us postcards every summer until we graduated 8th grade. I remember her devotion to a Broadway star named Robert Cuccioli- she was the president of his fan club, I believe. Every time Miss R went to see him on Broadway (we were 15 minutes from NYC) she would come back and fill us with stories about him. As a class, we became obsessed with him too! That taught me to share my passions with my students- if I'm excited about it, they'll be excited about it. Miss R would always say, "Call me. I'm in the book," if we needed homework help. She would talk to us privately, saying, "This is between you, me, and the wall." Apparently, she even made predictions on little index cards about what we would be in the future. If we asked, she'd say, "Ask me when you're 18. Look me up. I'll be in the book." My first teaching job was at my old middle school, and she was still teaching there. I remember feeling nervous to be next to her at a faculty meeting- this bright star from my adolescence. When I went to her retirement party, I was a first year teacher. I didn't know to pick her brain about how she made a room full of 6th graders love every minute of her class, which I regret. But I do not regret any part of being her student, or her colleague, for that matter. She was (and is) my teaching hero. Thank you, Miss R, for your wisdom, your passion, your wit, and your strength. I hope I can be half the hero to my students that you were to me. 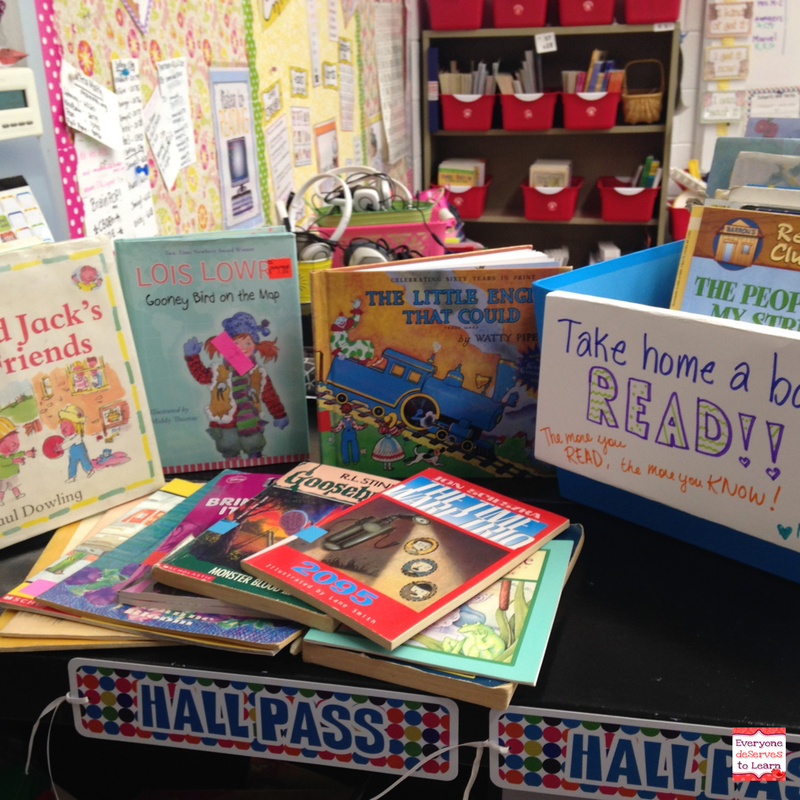 Is there a resource in your classroom you couldn't live without? Besides my tablet and projector, I find myself most often referring to my posters and anchor charts. Some in particular have a prominent place right up front on our board. For some reason my 4th and 5th grade friends have an awful time remembering subject-verb agreement, which I call SVA. 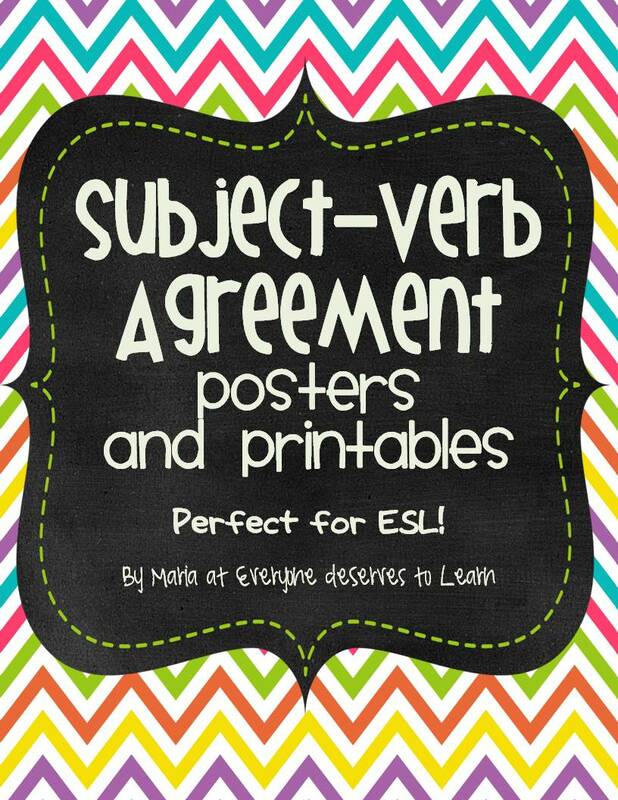 The posters from my Subject Verb Agreement pack are used constantly! I sing "1 subject equals verb plus S. 2 subjects equals verb minus S." and "I and you, no S - he and she, yes S," almost daily. Having a little chant helps my kids pick up on those pesky grammar rules that are so easy to forget. Grab it by clicking on the picture! 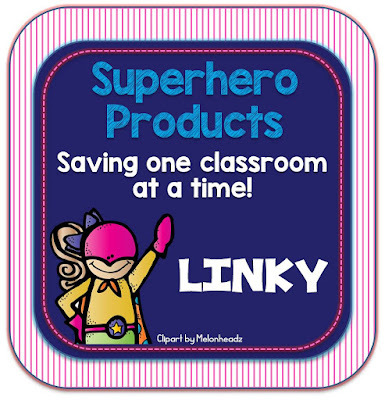 Do you have a superhero product in your room? Link it up with Ideas by Jivey! That's right! 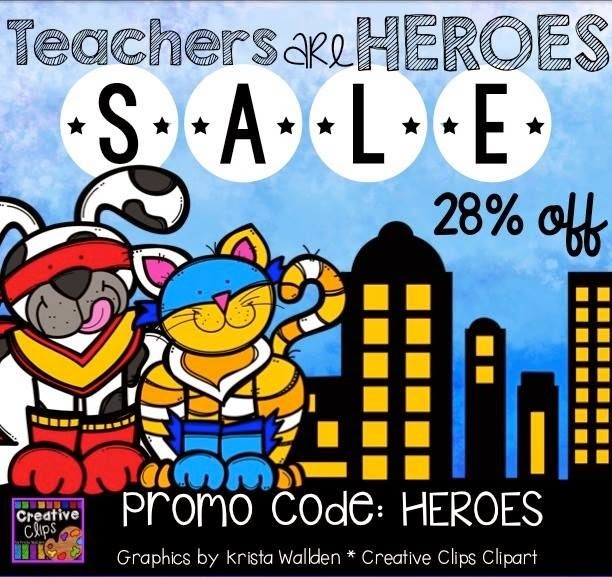 My store (and so many others) will be 28% off for a little while this week. 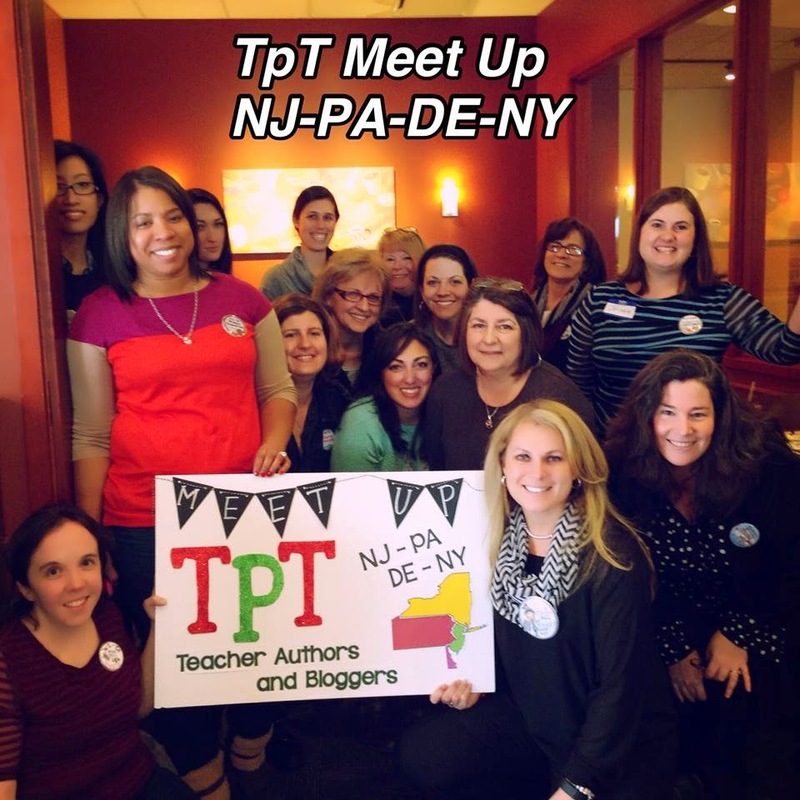 When I started blogging and selling on TPT in January of 2013, it was because my good friend Halle told me, under no uncertain circumstances, that I had better start. Two years, a few dozen products, and hundreds of friends later, I'm pretty glad I listened to her. I'm lucky to live right between two metropolitan areas- Philadelphia and New York City. Living here has allowed me to attend 4 different meet-ups with bloggers and sellers from all over the country. I've met celebri-teachers whose work I adore, and who have inspired me to keep on doing what I do! Check your Pinterest analytics: if a board isn't working for you, stop pinning to it! Collaborate with buyers and sellers: take product requests and work with sellers to cross promote. 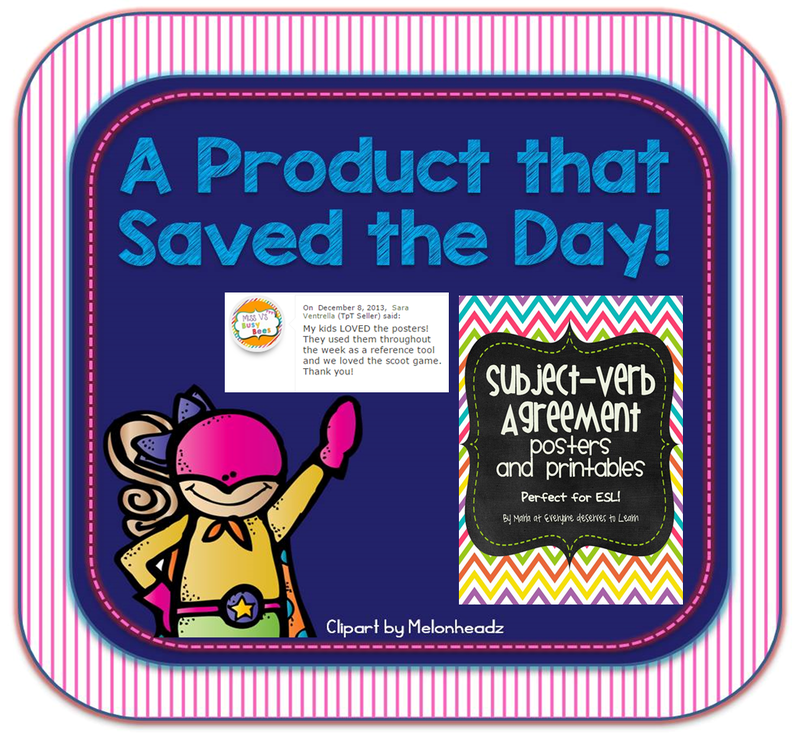 Expand your niche: if you are posting products that can work for grades 2-6, then say that! Choose grades 2, 4, and 6 in your product description, rather than sequential numbers. Hootsuite: it can manage all your social media. Kind of like a virtual assistant, but without the expense! Which of these tips are you going to try? I've been holding off on Twitter, but I guess it's time to jump into the pool! With the advent of more rigorous standards and standardized testing, students are being asked to read, comprehend, and analyze more informational text than in previous years. For a typical American student, reading, comprehending, and analyzing a non-fiction passage may come naturally. Now think about your English Language students- a typical ELL will need multiple exposures to the vocabulary, concepts, and text structure before even beginning to comprehend, much less analyze. How can we address this need? My tried and true method is to read a fiction mentor text prior to reading a nonfiction text on the same topic. Using a fiction mentor text to preview the concepts and academic vocabulary gives ESL students the boost they need to jump into a non-fiction text. Keep reading to see how I used a mentor text to start a Social Studies unit all about Presidents. In my mixed 4th/5th grade class, we are currently working on a month-long Presidents unit. 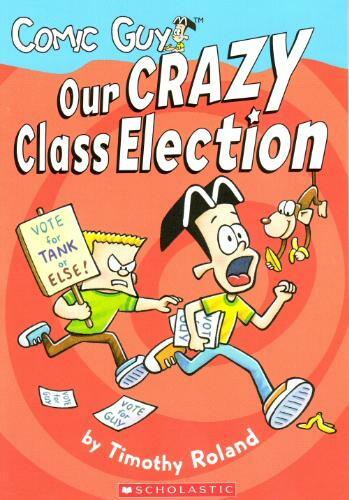 I began the unit by using Comic Guy: Our Crazy Class Election (Roland) as a read-aloud. Prior to reading, my English Language Learners previewed the academic vocabulary they would need to know: candidate, election, nominate, poll, and a few others. Students were assigned one word to digest and present. By having each responsible for just one word, students assumed ownership and were so excited to point out "their" word in the book. During reading, we stopped often to look up pictures or discuss connections we'd made. Understanding the story elements in terms of relatable characters and familiar situations makes it much easier for students to make connections to the same problems and solutions in non-fiction terms. Here's a great example of why putting fiction first works: in the book, Tank (the antagonist) is said to "strong-arm" the rest of the class into voting for him. Now, students can easily understand that strong-arm means to have a strong arm. But what does it really mean in context? To find out, we used google images, and then had a 1 minute arm-wrestling contest in class. In case you're wondering, I lost. To a 5th grader. Using real-life examples to explain a word in context means my students will always remember what it means to strong-arm someone. When we come upon the word in our non-fiction text, students will have no trouble making the connection from fiction to non. 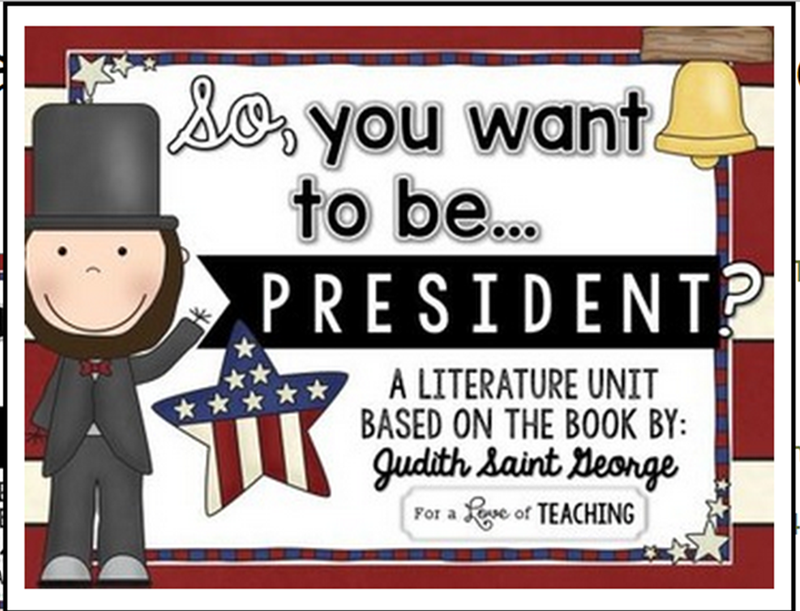 Once finished with our read-aloud, we read So You Want to be President (St. George). Having already understood the basics of an election and the responsibilities of a President made it much easier for my non-native students to understand the process of getting elected. We used this great resource, which walked us through the book day by day. As an independent assignment, students chose a president they were interested in, and researched more about him. They used my Presidents reading passages, which were written right at their level and include the vocabulary they need to know. Finally, having read a fiction mentor text and non-fiction text on the same topic, my students will be ready to write. For this lesson I chose to have them write an expository text, knowing that our standardized tests are just around the corner. Students will choose three causes to support from a list I provide and proceed to write an expository text about them. Not only will they have an understanding of real-life Presidents, they'll also be able to draw from lovable and memorable characters and situations from our mentor text. 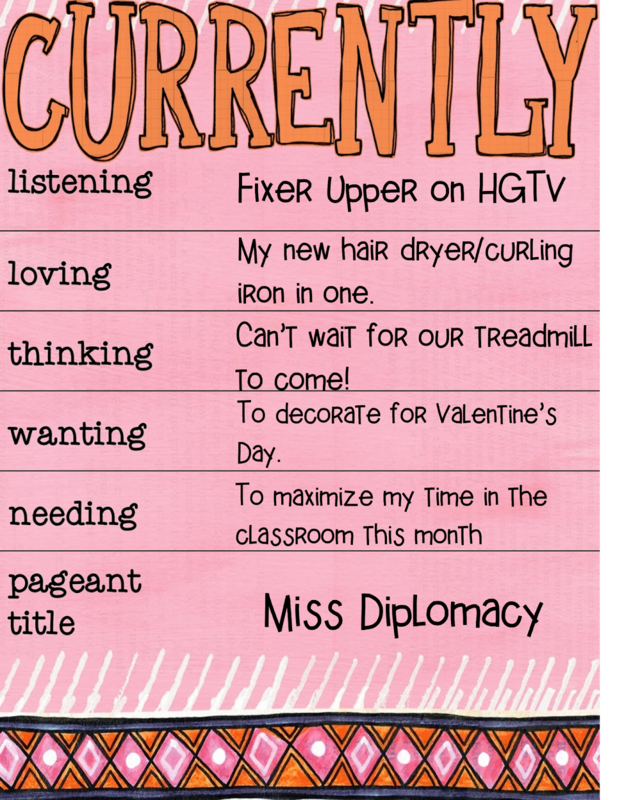 Even though we've long finished our mentor text, my students were constantly using academic vocabulary to refer to story elements from Crazy Class Election while we read So You Want to be President. It was amazing to watch them make connections back and forth from our fiction text to our non-fiction text. 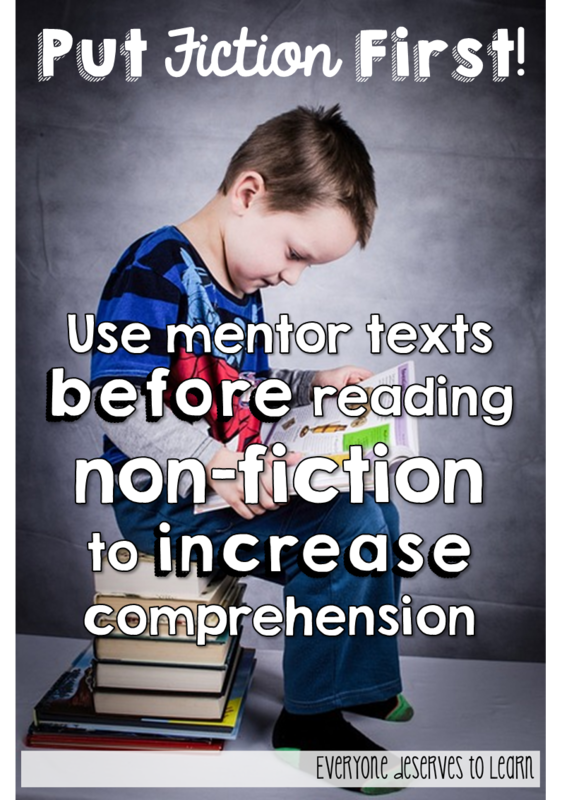 If you're interested in learning more about putting fiction first, check out these great posts on using mentor texts..
Do you use mentor texts to introduce non-fiction topics? What are some of your favorite topics/mentor text combinations? It's been a while since I linked up with Doodle Bugs for Five for Friday! Here's a glimpse of my week. 1. I had one of "those" days this week, when by 9:00 am I was already wishing for a do-over. 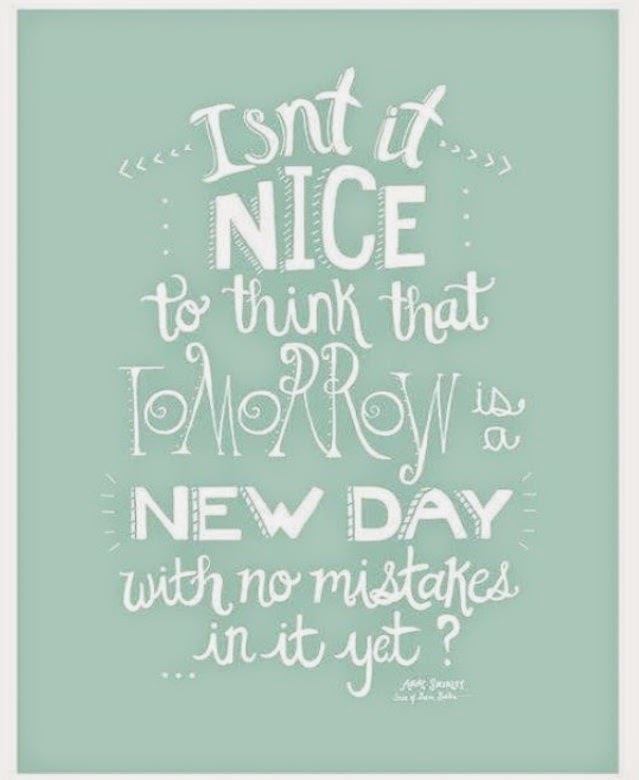 Luckily, Anne of Green Gables reminded me that tomorrow can only be better. And it was! 2. Two of my students came in suspiciously holding something behind their backs. On cue, they shouted "Happy Valentine's Day!" and then started giggling behind their hands. I lost it. I didn't cry one glamorous tear, no, I blubbered. I believe something to the effect of "I just love you guys so much," was uttered. I can't be sure. 3. One of my kiddos is having a really hard time learning to read and write. And listen and speak. He's just struggling all around. I carved out some time in my schedule so we can do "Back to Basics" work, like syntax and word families. As you can see, we have a lot of work to do! 4. One afternoon I looked around my classroom and decided to spring winter clean. I made room on my bookshelves by evicting some of my least-read books. I put them on a shelf by the front door and told my kids to take some home to read. New books for them + more space for me = happy campers. 5. 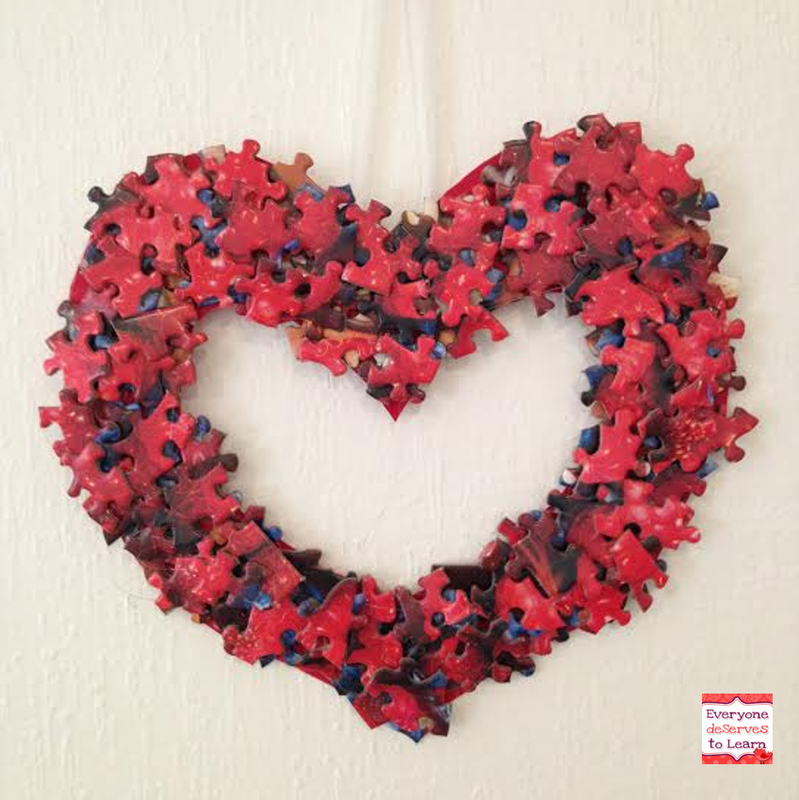 I was flipping through instagram or pinterest or a blog or something (social media overload) when I came across a heart made from puzzle pieces. I knew I had to make one! 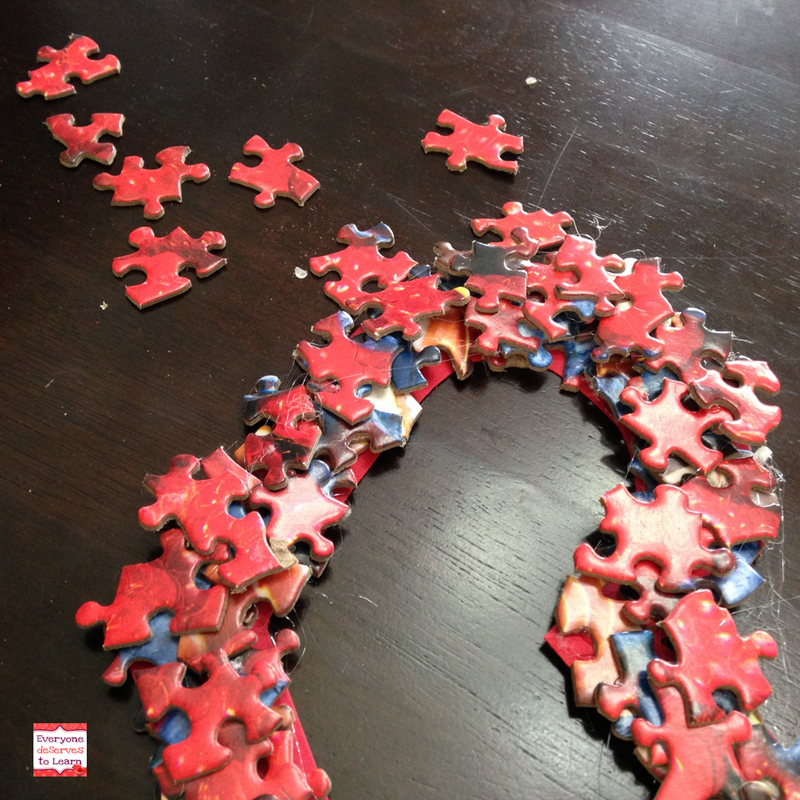 I headed to my local craft store and picked up the box of puzzles with the most red in it. I cut out some stiff cardstock into the shape of a heart, then started hot gluing pieces randomly. I love how it came out! I made one for my house, one for my classroom, and one for my teammate, and still had pieces left! That's my week in a nutshell. Have a great weekend! What spelling program do you use? Do you use one at all? How do you manage your spelling lists? 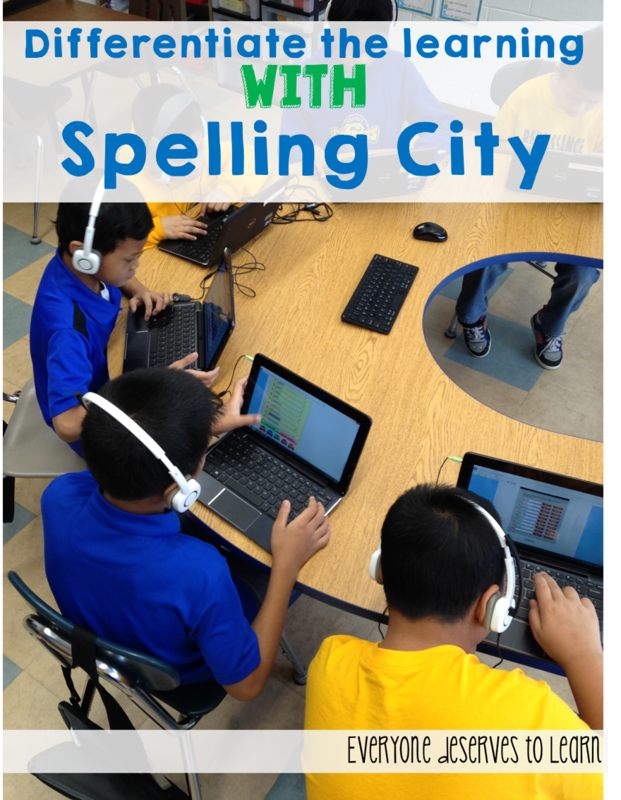 If you need a new way to get your kids excited about words, check out Spelling City! My district uses Reading Streets, but in ESL we mostly work on words we need to know to fill in the learning gaps. In a class with multiple proficiency levels, that means different word lists. 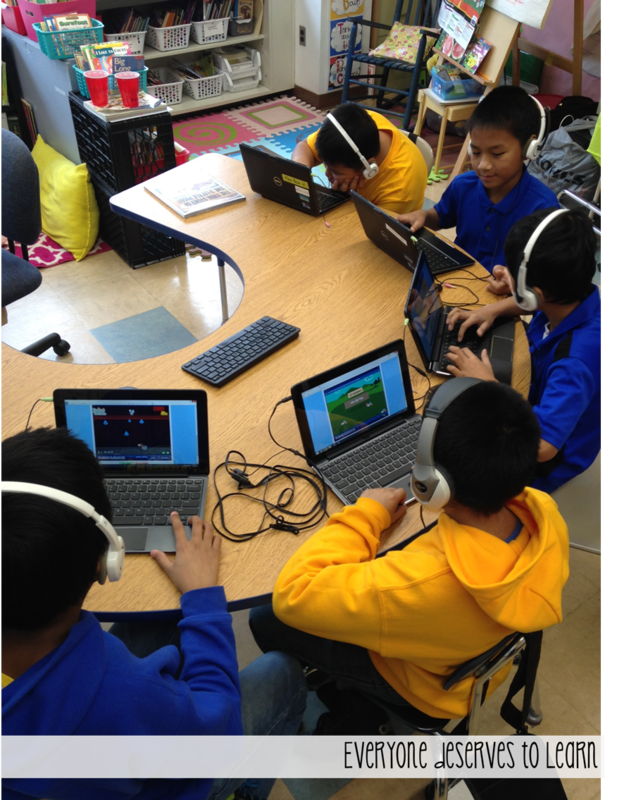 In the photo above, I have students working on Spelling City simultaneously, yet each student's word list is tailored to their level. Students are given a list of words (you can type them in or import them from a huge database of lists) and the program reads, spells, defines, and gives a sentence. Students can copy their words into a notebook to use for future reference. After listening to their words, they can choose a game to play. The free versions are in green, and the red represents the premium membership (about $60 a year for a class of 25). I have the premium membership, but you can differentiate just as well with the free version. I love that I can have my students cover standards in Language Arts, Vocab, Phonics, and Listening all in one program. Here you can see I have lists of all kinds. This is where your differentiation really happens! I sorted my lists and students into groups, which correspond to my various class proficiency levels. My high 4ths and 5ths use the Reading Street lists, and my low 4ths and 5ths use the 3rd and 4th grade lists. I have one buddy who is working on Dolch and Fry only, so he got his own group. This would really work if you need to modify per an IEP or education plan - simply adjust the word list as needed. Once you've created a list, you can even create your own definitions and sentences, or use the ones provided. When you create an assignment, you can choose any list in your personal account, or import from another member's list. You can then assign that list to as many or as few students you choose, by clicking the red arrow. When students log in, they get a notification of a new assignment, and never know they are working on a different list than their friends. I will occasionally create a "review" list, which is a great feature on Spelling City, for students who need some extra practice with certain blends or skills. Students can work at their own pace, or you can set a deadline for the assignment to be due. You can track their progress and see how much time they spend on an activity. Once students take the test, Spelling City grades and averages them all for you. Here you see some of the lists I have going on all at the same time. The student names would be to the left, and there is an "average" column which gives you an idea of how they are doing in general. Based on their test scores, average, and time spent on completion, I can adjust the level of the words as necessary. 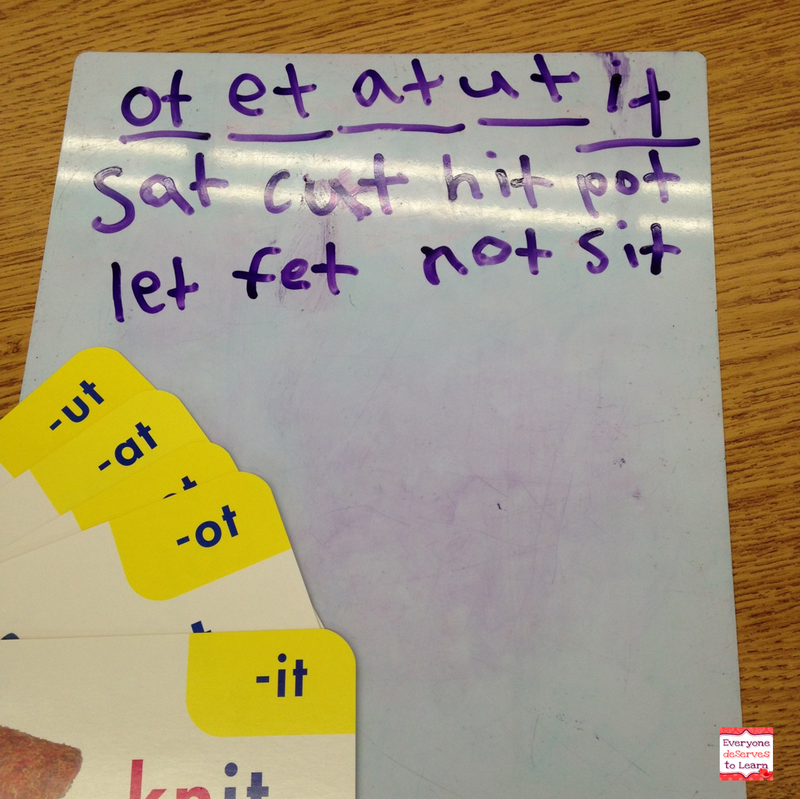 My students love to play the Spelling City games, and I've noticed a huge improvement in their writing with the acquisition of so many new words. Creating differentiated spelling lists had once made me cringe, but now with a click of a mouse my work is done. I hope you can use Spelling City to your advantage- it is a great resource for ESL, Special Ed, and mainstream teachers of all grades. 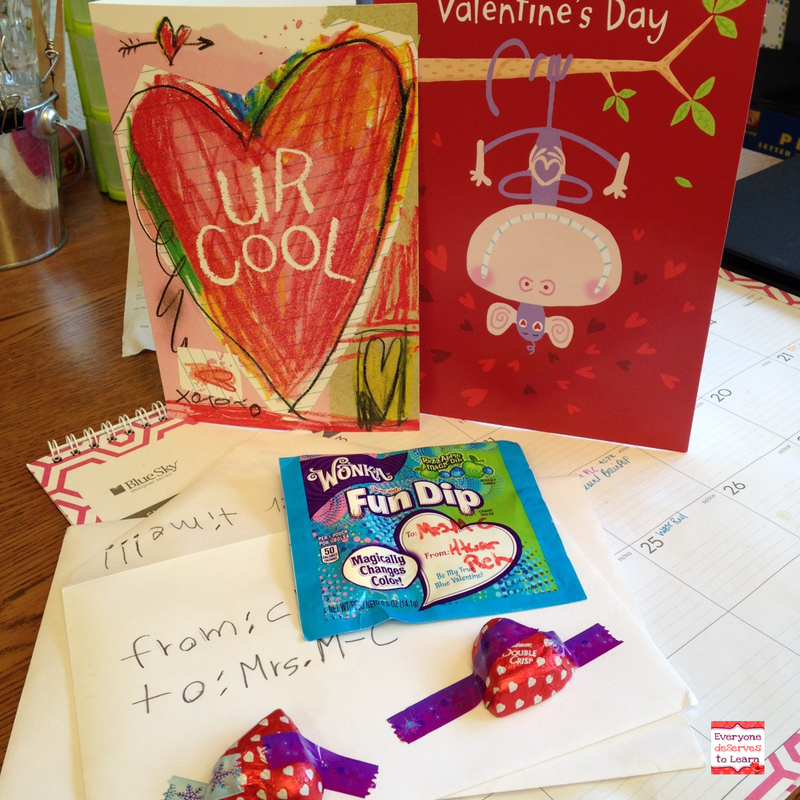 I'm linking this up to Miss Nelson's blog- go and check out all the other awesome posts about classroom loves! *I was not endorsed or sponsored by Spelling City, and the opinions expressed in this post are my own. Happy Super Bowl Sunday! Are you a football fan? I'm really a half-time show kind of person. Give me a sparkly skirt and a marching band and I'm in heaven. I always had dreams of being the drum majorette in high school, and then I went to a high school that didn't have a marching band. So there went that dream! Anyway, as it's the first of the month I'm happily linking up with Farley to share what's going on in this head! 1. How does her hair stay so perfect in the midst of all that dust, dirt, and construction apparatus? Blows my mind. My hair looks great for the first 5 minutes after I style it, and then it's all downhill. 2. Speaking of hair, I needed to try something new in the styling department. I have medium/long brown hair that is thick, but very very fine. It rarely holds a curl or volume, but I want Duchess of Cambridge hair. So I looked up some tutorials on youtube, and everything pointed to a styling brush. It's like a blow dryer, brush, and curling iron in one. I've been using it for the past few weeks and am so amazed with how shiny and bouncy it makes my hair. Almost Duchess style...more like Pippa at this point but I'll take what I can get! 3. My husband ordered a state-of-the-art treadmill for us to use. I noticed that with the cold weather I wasn't walking Lacey as much- just letting her out in the yard. This one has an ipad-type thing built in, a heart monitor, and it can even walk for you! Just kidding. But I'm really excited about the fact that I can read and blog while I walk! 4. And by decorate I mean change the frame that still has FALL in it and put up a V-Day print. Any day now. So, no pressure on this month. Just have to fit in EVERYTHING I need to teach before the 28th. Wish me luck. 6. I know I mentioned wanting to be a drum majorette, but what I really wanted to be when I grew up was a lawyer or an ambassador. I minored in French and International Studies in college and was pretty sure I'd go into foreign affairs. I've always been interested in diplomacy, and loved taking courses on it in college. Those courses have served me well on my journey to be an administrator; I'm never quick to take sides and I can (usually!!) make an informed decision after hearing both sides of a situation. 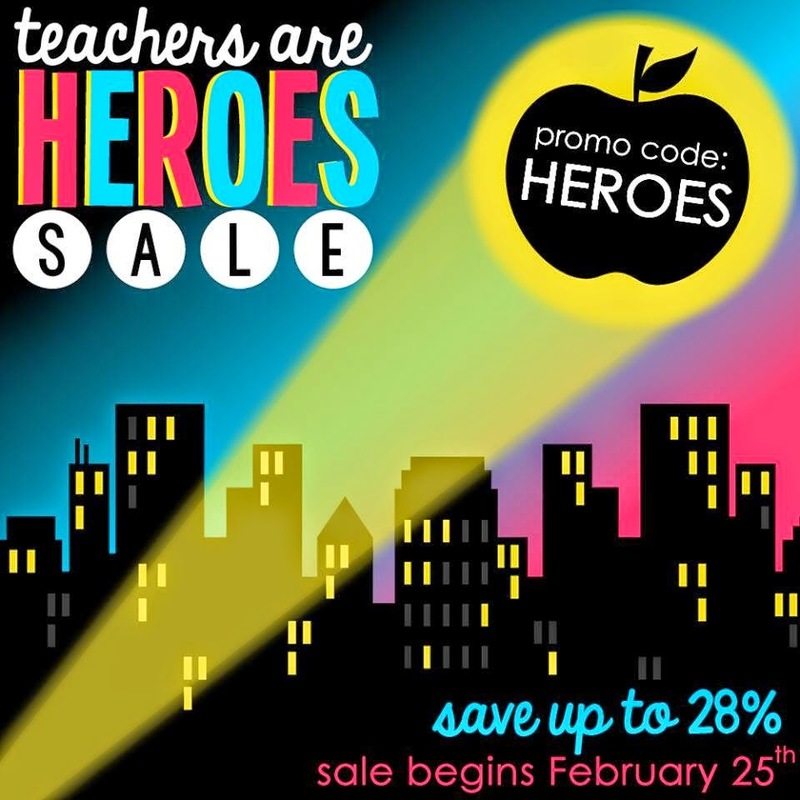 That's it for my Currently, but before you go, take a look at these brand-new resources to my TPT shop. They're on sale just for today!